How Lake Okeechobee Discharge Decisions Are Made? 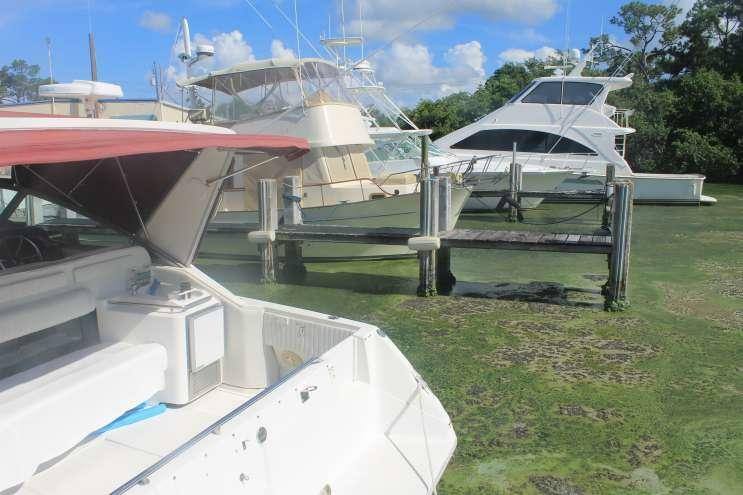 Ramon Iglesias, manager of Roland and Mary Ann Martins Marina in Clewiston, said the toxic algae bloom is affecting his business. Toxic algae again is blooming in Florida waterways. The algae began in Lake Okeechobee and is spreading after the U.S. Army Corps of Engineers initiated flows to the adjoining Caloosahatchee and St. Lucie rivers. WMFE environmental reporter Amy Green explains some of the water management decisions behind this toxic alga in a conversation with WMMO's host Shawn Burke. Burke: Amy, how much algae are we talking about? Green: It’s a big problem. As much as 90 percent of Lake Okeechobee has had toxic algae, according to satellite images provided by the National Oceanic and Atmospheric Administration. I’ve heard pretty much all of the Caloosahatchee estuary has had algae. There are worries the algae is spreading into the southern Indian River Lagoon. You mentioned the blooms are spreading after the U.S. Army Corps of Engineers initiated flows from Lake Okeechobee to the Caloosahatchee and St. Lucie rivers. But how do they decide how much water is going to flow where and when? At the heart of these decisions are a team of just under 10 people and a document called the Lake Okeechobee Regulation Schedule or LORS. And this team, it’s like the water management team of the U.S. Army Corps of Engineers’ Jacksonville district, these people use the LORS as a guide in making these very complex and important decisions. Who is most affected by these decisions? 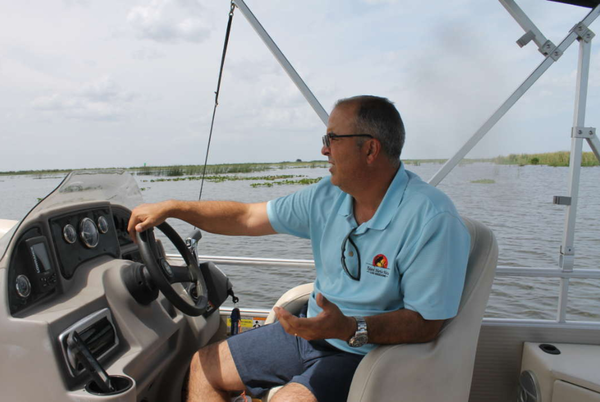 People like Ramon Iglesias, manager of Roland and Mary Ann Martins Marina in Clewiston, on Lake Okeechobee’s southern shore. He was nice enough to take me out on the lake just a few days ago. “Our customers are calling us, they think it’s 90 percent covered with a bright sheen of algae that is guacamole-thick, and that’s not the case,” Iglesias said. And he was right. The algae looked more like a million tiny green air bubbles. It wasn’t this thick stuff that looks like rotting guacamole and smells like excrement that you’re seeing in places like basins and canals where there are no strong currents. It was a nice afternoon on the lake. Lake Okeechobee is the state’s largest lake. Tourism is a top industry in Florida. These decisions affect all of us. But for people like Iglesias, he talked to me about canceled reservations. For people who make a living on these waterways, this algae is a disaster. A $3 million grant program for local governments to clean toxic algae blooms in the St. Lucie and Caloosahatchee estuaries has been started by the Florida Department of Environmental Protection. Gov. 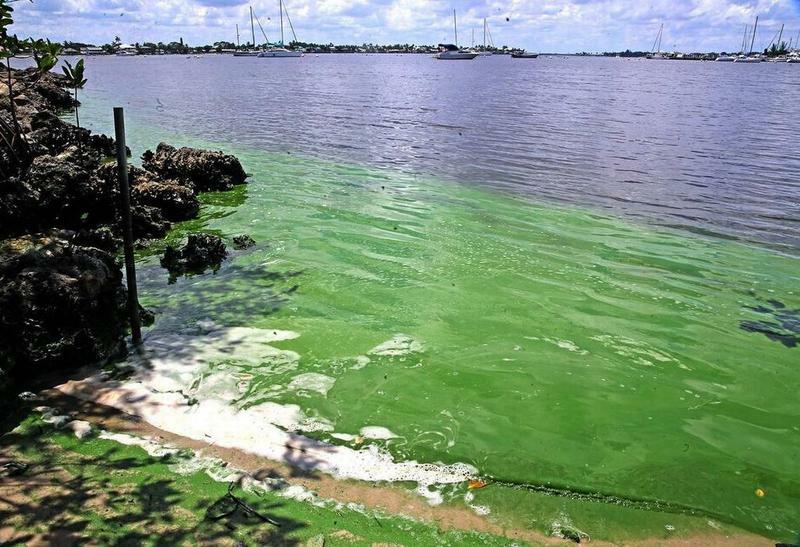 Rick Scott’s office Monday announced the grant program, which follows his July 9 executive order declaring a state of emergency for Glades, Hendry, Lee, Martin, Okeechobee, Palm Beach and St. Lucie counties because of algae outbreaks. Last week, Gov. Rick Scott ordered a state of emergency for seven counties around Lake Okeechobee as a result of toxic algae blooms. Now the Army Corps of Engineers is releasing water from the lake because the algae has spread to both Florida coasts, hurting home values, tourism and local businesses. A plan to build a water storage reservoir south of Lake Okeechobee was approved by federal budget officials on Tuesday, as part of an effort to reduce blue-green algae blooms on Florida's coasts. The roughly $1.6 billion dollar reservoir project will now pass from the White House Office of Management and Budget to the U.S. Senate, where it's expected to be funded as part of a water resources bill.